TOKYO, Japan, March 11, 2014 (ENS) – Japan’s Emperor and Empress, Prime Minister Shinzo Abe, and representatives of those who lost family members gathered in Tokyo today to observe the third anniversary of the earthquake and tsunami of March 11, 2011 that caused one of the world’s worst nuclear disasters at the Fukushima Daiichi nuclear power plant. The participants were silent for a moment at 2:46 PM, the time the earthquake struck three years ago, unleashing a tsunami that swamped the nuclear plant owned and operated by Tokyo Electric Power Co., TEPCO. It knocked out the power system that pumped cooling water into six reactors and spent fuel pools. The ensuing fuel meltdown in three of the units sent radiation into the air, across the surrounding land and into the Pacific Ocean, the first Level 7 nuclear incident since Chernobyl in 1986. Authorities have confirmed that 15,884 people were killed in the earthquake and tsunami, and 2,633 others are still unaccounted for, according to NHK TV. 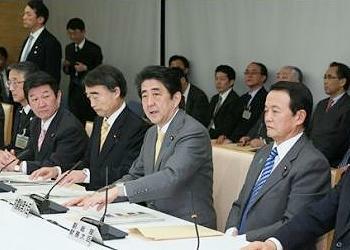 Prime Minster Abe expressed “heartfelt” condolences to the bereaved. He said while reconstruction is moving forward “with agriculture resuming, fishing ports overflowing with the joy of the day’s catches, and the sight of families that have moved into public housing for disaster victims,” many people are still living lives of great inconvenience, and a large number of people are still unable to return to their hometowns because of the nuclear accident. 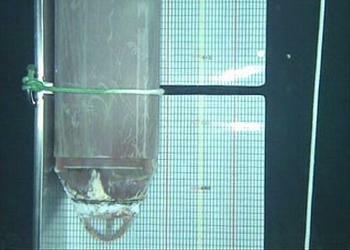 But some scientists say Japan has not learned the lessons of the Fukushima reactor disaster. 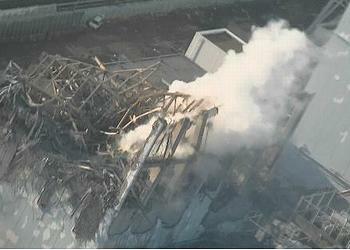 An updated and expanded version of the Independent Investigation Commission on the Fukushima Daiichi Nuclear Accident report published today in English by the Bulletin of the Atomic Scientists warns that Japan has not yet fully learned these lessons, particularly the several ways in which the “human factor” played a major role paving the way for the crisis and worsening its aftermath. The commission is a civilian-led working group of more than 30 people, including natural scientists and engineers, social scientists and researchers, business people, lawyers, and journalists, who conducted over 300 investigative interviews to collect testimony. The responsibility of this committee was to act as an external ombudsman, summarizing its conclusions in the form of an original report, published in Japanese in February 2012. The new book, “The Fukushima Daiichi Nuclear Power Station Disaster: Investigating the Myth and Reality,” makes three main points. Contributing to the disaster were: the lack of unified and independent regulatory controls, faulty management oversight, and a false sense of infallible technology. “Perhaps the biggest takeaway from the Fukushima Nuclear Power Station disaster concerns the nonexistence of an effective nuclear regulatory organization in Japan – one that is independent from nuclear enterprises, politics, or academia; in short, independent from any community within the ‘nuclear power village,'” the book states. Post-Fukushima, the Japanese government established the Nuclear Regulation Authority, an independent outfit headed by Chairman Shunichi Tanaka, former president of the Atomic Energy Society of Japan and former director of the Japan Atomic Energy Agency, previously known as the Tokai Research and Development Center of the Japan Atomic Energy Research Institute, as well as the Nuclear Regulation Authority as its secretariat. The two regulators debuted in September 2012. Since then, however, the Nuclear Regulation Authority has been caught in constant crossfire between pro-nuclear and anti-nuclear groups. A national consensus still has not been reached on both the nation’s regulation of nuclear power stations and its nuclear energy policy issues,” the book points out. This conclusion is reinforced by the results of a survey conducted by NHK’s Broadcasting Culture Research Institute released Monday that finds nearly 80 percent of Japanese are in favor of scrapping some or all of the country’s nuclear power plants. Before the earthquake and tsunami, Japan generated 30 percent of its electrical power from its 50 nuclear reactors and had planned to increase that share to 40 percent. But after the accident all were shut down. One was restarted, but was closed for maintenance last September, leaving the country without nuclear power. Of the 3,600 people aged 16 or older polled by NHK, 68 percent responded. 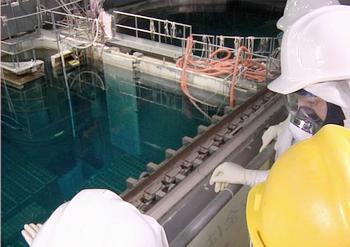 Only 11 percent of respondents said the reactors should go into operation again. 44 percent said they should not. Another 44 percent were undecided. Thirty-seven percent said they are very concerned that an accident may happen at a nuclear plant and affect people living in the area, while 50 percent said they are somewhat concerned. Fourteen percent said they have little or no concern. Asked about how the government should deal with existing nuclear reactors, 46 percent said the number of reactors should be reduced. Thirty percent said all of them should be demolished. The number of those who want to scrap all the nuclear plants was 10 percentage points higher than the figure two years ago. Only one percent said that new reactors should be added, while 22 percent said the number of reactors should be maintained at the current level. Ninety-five percent said they were worried about the situation at the damaged Fukushima Daiichi plant, while only five percent said they have little or no concern. Researchers at the NHK institute say conditions at the plant have likely influenced public opinion about the future of nuclear energy in the country. On a more positive note, former U.S. nuclear regulator Dr. Dale Klein said today that TEPCO and the people of Japan have made “great progress” in the three years since the accident at Fukushima Daiichi Nuclear Power Station, and their commitment to eventual success provides the basis for optimism. Klein chaired the U.S. Nuclear Regulatory Commission from July 1, 2006, to May 13, 2009. 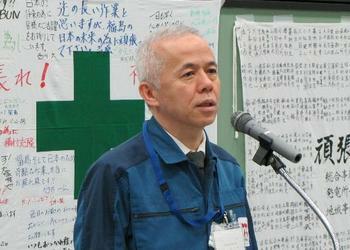 He currently chairs a group of international experts advising TEPCO on nuclear reform. Speaking at the Foreign Press Center Japan, Klein noted the safe removal of nuclear fuel from Fukushima Daiichi’s Unit 4 as a milestone.